Dialog Axiata has posted strong profits for the six months ended June 30, 2016. 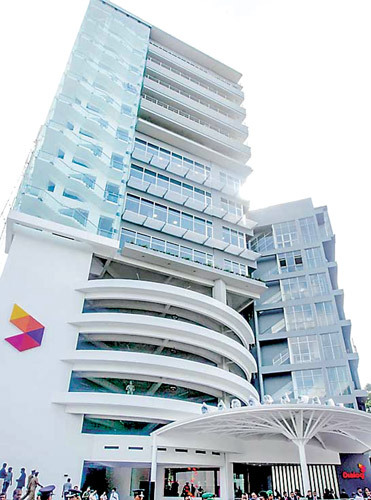 Financial results included those of Dialog Axiata and the Dialog Axiata Group post-consolidation with subsidiaries Dialog Broadband Networks (DBN), Dialog Television (DTV) and Digital Holdings Lanka (DHL). The Group closed the first half of 2016 on a strong note, delivering growth across Mobile, Digital Pay Television, Tele-infrastructure and Fixed Line businesses, and recording consolidated revenue of Rs 42.2 Billion for 1H 2016, demonstrating a growth of 20% on a Year to Date ( YTD ) basis. While the Group delivered a strong first half across all financial metrics, performance during the seconr quarter was significantly impacted by the introduction of Value Added Tax (VAT) and Nation Building Tax (NBT) on Mobile and Fixed Telecommunications as well as DTH Pay TV services from May 2, 2016. Second quarter performance was further affected by impacts arising from the adverse weather conditions that prevailed in May 2016. The introduction of VAT at 15% and NBT at 2% on Telecommunication services resulted in aggregate Telecommunication service consumption taxes increasing from 27.6% to 49.7% for voice services and from 12.2% to 31.7% for data services. The increase in consumption taxes have been observed to have a near term impact of constrained consumption. It is envisaged however, that consumption would return to standard levels in the longer run. Specific externalities in the second quarter have in aggregate, been observed to have constrained the growth momentum demonstrated in previous quarters. Group Revenue was recorded at Rs. 21.1 billion for Q2 2016 flat (-0.4%) on a Quarter on Quarter (QoQ ) basis. While Group EBITDA (Earnings Before Interest, Tax, Depreciation and Amortisation) for the 1H 2016, grew by 18% on a YTD basis to reach Rs. 14.1 billion, QoQ growth was constrained to 1%, with second quarter EBITDA being recorded at Rs. 7.1 billion. The Group EBITDA margin for 1H 2016 was accordingly recorded at 33.3%. The Group NPAT(Net Profit After Tax) for the second quarter declined 14% QoQ to be recorded at Rs. 2.3 billion, while 1H 2016 NPAT demonstrated YTD growth of 27% to be recorded at Rs. 4.9 billion. The Dialog Group continued to be a significant contributor to state revenues - remitting a total of Rs. 16.9 billion to the Government of Sri Lanka (GoSL) during 1H 2016. Total remittances included direct taxes and levies as well as consumption taxes collected on behalf of the GoSL. Direct taxes, fees and levies contributed by the Dialog Group totaled to Rs. 6.5 billion inclusive of income tax. The Group additionally collected consumption taxes and levies, totaling to Rs. 10.5 billion on behalf of the GoSL in 1H 2016, comprising in the main of Telecom Levy and VAT collections amounting to Rs. 6.6 billion and Rs. 1.8 billion respectively.